Finally, I had a chance to explore the great falls (Katibawasan Falls) in Camiguin Island. This is my first time to visit in Northern part of Mindanao particularly in the Pearl-shaped Island commonly known as Camiguin Island. In history, Camiguin Island is derived from the native word "Kamagong", a species of the ebony tree in which can be describe as a dense black wood or heavy woods and obtuse enough to sink in water. Camiguin Island was part of Misamis Oriental and it became a sub-province in 1958. In June 18, 1966, was made into a separate province. Camiguin Island was formally inaugurated in 1968. Mambajao is the capital Municipality of Camiguin Island. By visiting Camiguin Island also requires that you make a few choices. Camiguin Island is excellent and many attractions including Ardent Hot Spring, Sunken Cemetery, Church Ruins, White Island, Mount Hibok-Hibok and Katibawasan Falls. Considering, Katibawasan falls was my first stopped for this trip. Permit me first to explore and share my great experience for this Falls. 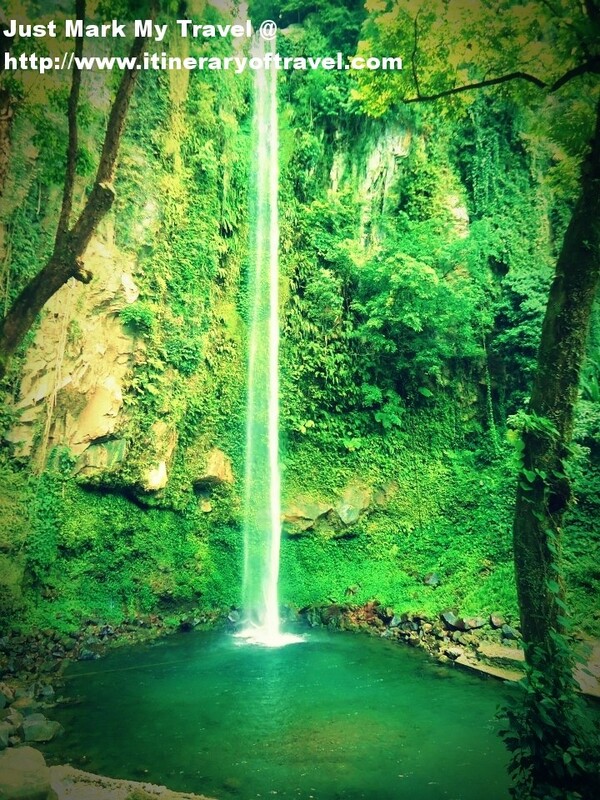 Like everyone said, Katibawasan Falls is absolutely stunning and clear waterfall plunges about 76 meters. The falls is surrounded by wild ferns, huge trees, ground orchids and boulders. A magical place to all locals and nationals, a very relaxing falls and has its unique beauty. You can really feel the water splashing on you. Katibawasan Falls is an ideal place to cool off during summer as it provide a very cold water, a refreshing splash and there is no reason to not go swimming because the falls really invites you to go and swim and Yes! I did, I swam for about 10-15 minutes for me to experience the extreme cold water of Katibawasan Falls. Hehehe. Indeed, I was really impressed and it was an awesome experience. 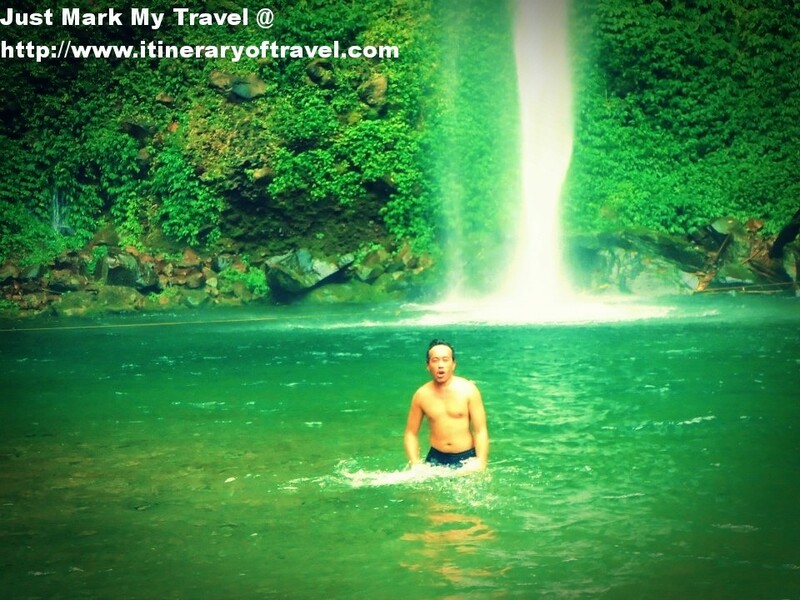 It is pretty cool to visit Katibawasan Falls and you will have a better experience. An entrance fee of Php15.00 for adults and Php6.00 for children. From Cagayan de Oro City, you can take a bus located at the Agora Market and take a bus bound for Balingoan and travel time is about 2 hours. At Balingoan, you can walk towards Balingoan ferry terminal and take a ferry boat bound for Camiguin Island. It will take an hour before you can reach Benoni Wharf of Mahinog, fare is Php170.00. You can contact Camiguin Provincial Tourism Office at (088)3871097 loc. 119-120. Hahaha, lols. Thanks sa pagpicture ana.